Send your details to the travel advisors at Yonder for more information about this trip. 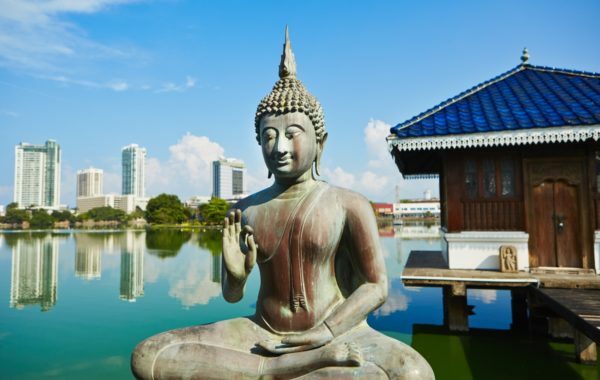 An action-packed itinerary to some of Sri Lanka's absolute highlights. 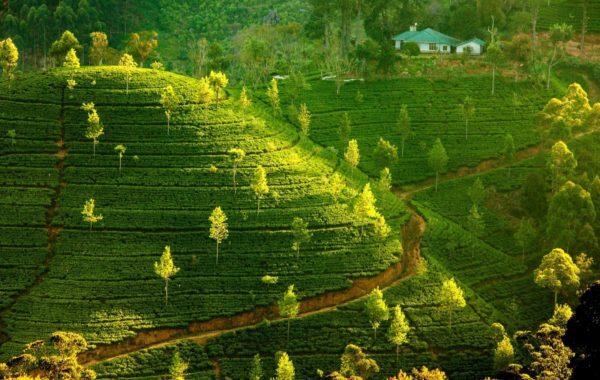 This journey starts among the timeless tea plantations of Hill Country, takes you on a thrilling safari with an expert wildlife guide, before finally cooling off on a pristine beach just outside Galle. 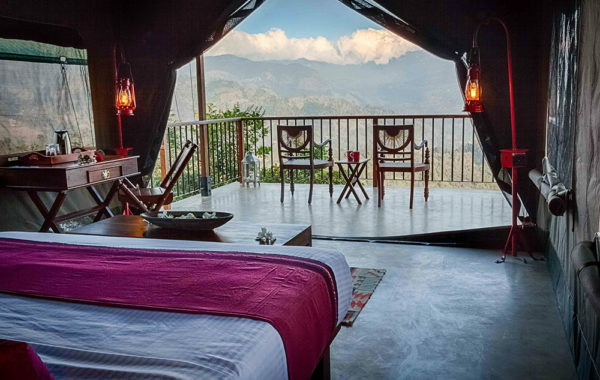 This route calls in at some of Yonder's favourite accommodations, ranging from the thrill of tented safari camps and ecolodges to characterful colonial-era properties. This is a suggested itinerary which can be tailored to suit your requirements. Get in touch and one of Yonder's travel advisors will be happy to help. Your driver guide will be waiting for you in the arrivals hall to ensure you make a swift escape. Your journey will take you through the Sri Lankan hinterland towards Madukele Tea and Eco Lodge. The lodge lies above 1,000m amongst verdant carpets of tea bushes stretching as far as the eye can see. Every so often, tea pluckers are visible in their bright saris working away to deliver the tips to the weighing stations before the sacks are transported to the tea factory. You’ll see the complete cycle during a visit to the local working tea factory and realise that Blighty’s favourite drink is produced by seriously old fashioned processes. Wandering on one of the trails between the tea bushes is a fabulous experience. Pay attention and you’ll see a staggering array of birds and other wildlife. 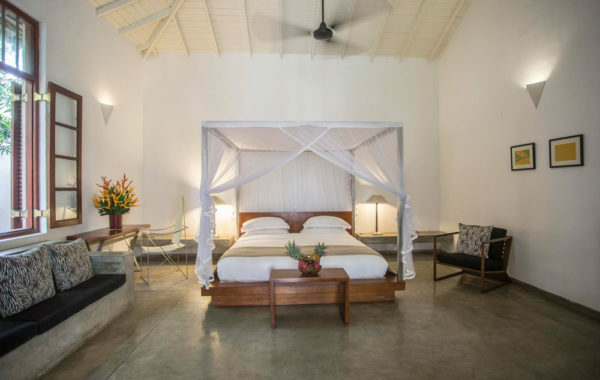 Without doubt, one of Sri Lanka's best eco lodges. Set high up in a commanding position in the Knuckles Mountain range overlooking the plantations, Madulkelle Tea and Eco Lodge is an exceptional Tea Country hotel that very consciously seeks to fit in with its natural surroundings. An early departure is needed to for the drive to Yala national park. The luscious green highlands will be left behind as you wind through the centre of the country towards the coast and the arid scrub lands. On arrival at Yala, you’ll head for the park’s perimeter where you’ll transfer into a safari vehicle for the final couple of kilometers to the Kulu Safari camp. 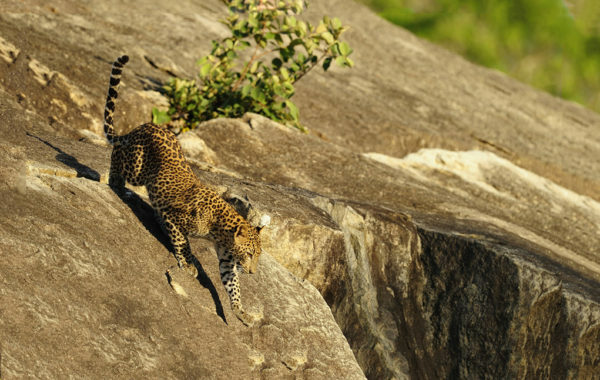 You’ll have time to go out on three game drives; two at dawn and one at dusk as these are the prime times to witness leopards, sloth bears, jackals and much else besides. Lunches and dinner are an al fresco affair served back at the safari camp. 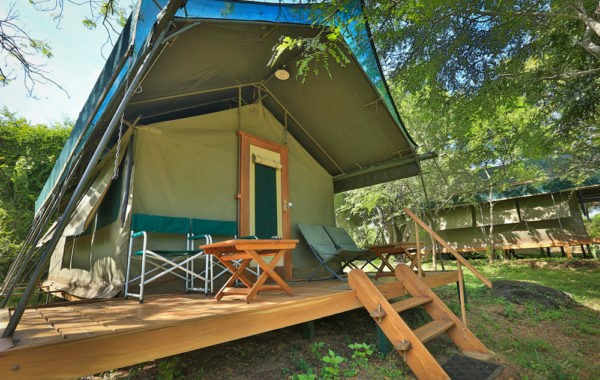 And look out for the plethora of wildlife that lives around the camp, from wild boar, to crocs, to the occasional elephant. Kulu Safaris know how to do safari well. Set in Sri Lanka’s Yala National Park, this is a top quality operation with professional guides, quality equipment and a commendable commitment to environmental protection. After your final morning game drive, you’ll once again team up with your driver guide to journey along the southern coast of Sri Lanka. This time you’ll know that the end of road will be the beach and the chance to kick back and relax amid the luxurious surroundings of the Frangipani Tree. 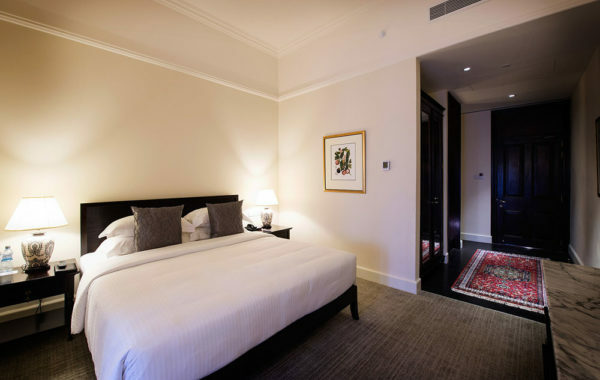 Beautiful suites and simply amazing fusion food – crab curries, lamb tagines. Work it off in the pool or on the tennis courts. Take a 15-minute tuk tuk ride to Galle and explore the stunning Dutch colonial fort and the famous Test cricket ground. A long-standing favourite and each time we come back the welcome is warmer than the last. The Frangipani Tree occupies one of the best spots on Thalpe beach, with a seascape to die for. And with the rooms named after gentle but endangered turtles, you’ll have an immediate sense of the kind of amazing marine life on the doorstep. As your holiday in Sri Lanka draws to a close, it’s time to experience the big smoke. 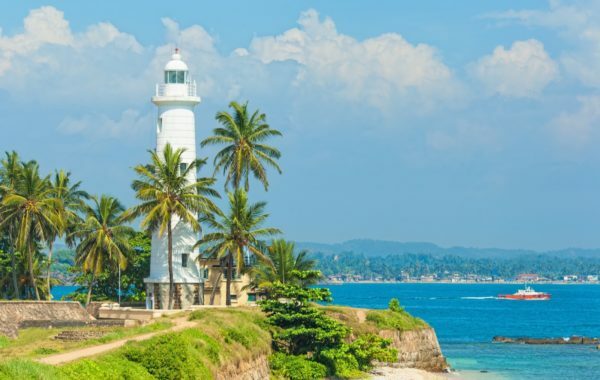 You’ll head for Colombo on the swish new highway and pull up at The Galle Face Hotel, aka ‘The finest hotel east of Suez’ and this will be your base from which to venture into Sri Lanka’s buzzing and rapidly evolving capital. Maybe a final massage, some shopping at the beautifully restored colonial era buildings of Independence Arcade, a visit to the national museum or some truly cosmopolitan food on Park Street Mews will cap your memorable trip. Or perhaps you will just relax in your magnificent hotel and discover how it earned its lavish reputation. After breakfast, you’ll check out of the Galle Face make the shortish journey through Colombo towards the airport for the direct lunchtime flight back to the UK. Four young investors set out on a mission to create ‘the finest hotel east of Suez’ and boy did they succeed. The Galle Face hotel, built in 1864, is the grand dame of luxury hotels in Colombo in Sri Lanka and her reputation stretches well beyond the shores she sits on. 10 nights in Yonder's hand-selected luxury properties. All breakfasts are included. Some lunches and evening meals also included. All ground transport and connections in a private car.